Los Alamitos, a city of 12,000 in Orange County, has voted to exempt itself from California’s so-called sanctuary law, which limits cooperation between local agencies and federal immigration authorities. 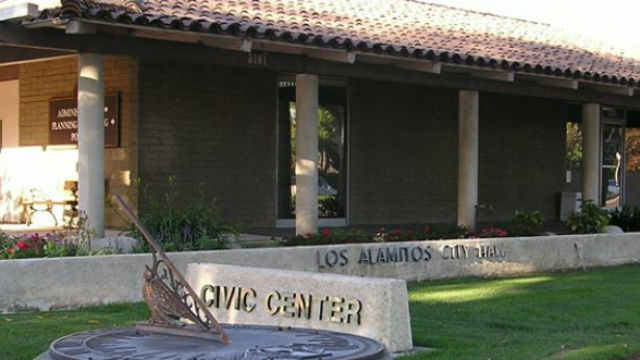 The Los Alamitos City Council voted 4-1 Monday night following more than two hours of heated testimony from residents on both sides of the issue, the Orange County Register reported. While the crowd had dwindled both in and outside the chamber when the vote came, people erupted in cheers after the vote and began chanting “USA.” But on the pro-immigrant rights side, there was this chant: “The people united, will never be divided,” according to the Register. Councilman Warren Kusumoto introduced the legislation and said the issue was not about immigration. “This council is looking out for the constituents in our city,” he said. Mayor Troy Edgar said he hoped mayors in other cities consider similar local legislation. The council went one step further, the Register reported. The majority also voted to direct the city attorney to write an amicus brief to a federal lawsuit filed earlier this month against California, alleging that three of the state’s laws are unconstitutional. One of those laws was the same one the Los Alamitos council looks to opt-out of: the “California Values Act,” which limits cooperation between law enforcement agencies and federal immigration authorities. Kusumoto and Edgar joined council members Shelley Hasselbrink and Richard Murphy in support of the new local law. Councilman Mark Chirco voted against it, saying adopting it would lead to litigation, according to the Register. To those who oppose the ordinance, the vote was a disappointment, the newspaper reported. Council members in the majority said that California’s so-called sanctuary law, SB-54, puts them at odds with the U.S. Constitution.